They have the strongest tails in the animal kingdom. Spider monkeys are known to hug each other affectionately at group reunions. Spider Monkeys are known as the “Trapeze Artists” of the animal world. The spend much of their time swinging from limb to limb in the trees, high above the jungle floor. 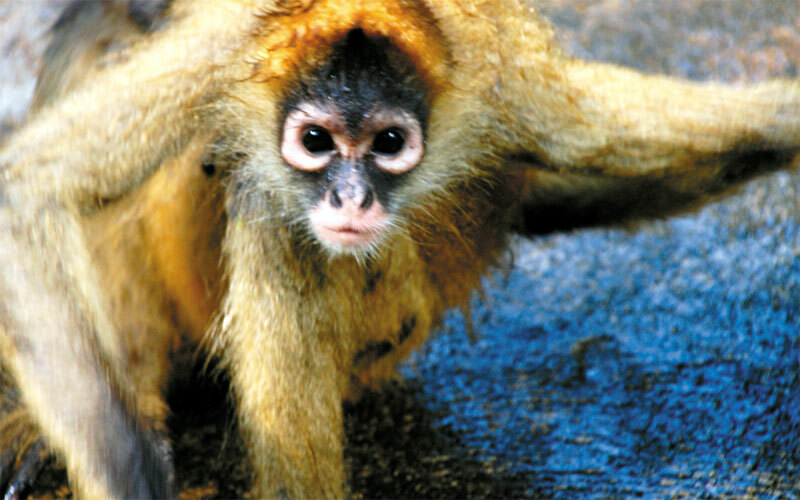 Although spider monkeys are found mostly in black, they are also brown, red and golden brown. Some Spider Monkeys have white chin whiskers and flesh coloured rings around their eyes. They can live up to 30 years.